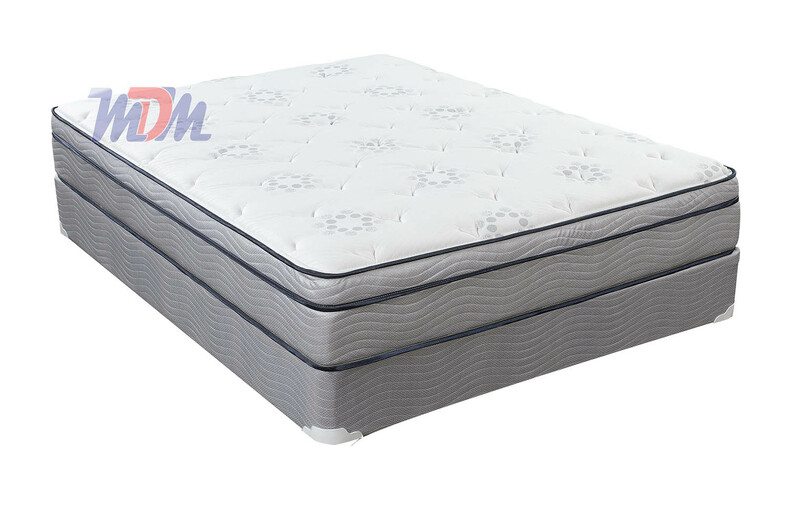 The "Melissa" is part of King Koil's well-known Spinal Guard line and provides to you ample support, a relatively soft euro top and a foam encased SuperLastic (long-lasting) spring unit. 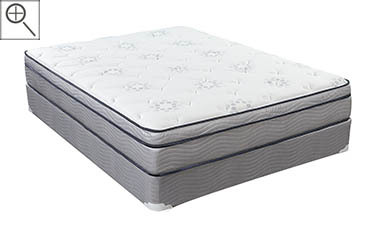 This mattress is great for both back sleeper and side sleepers. 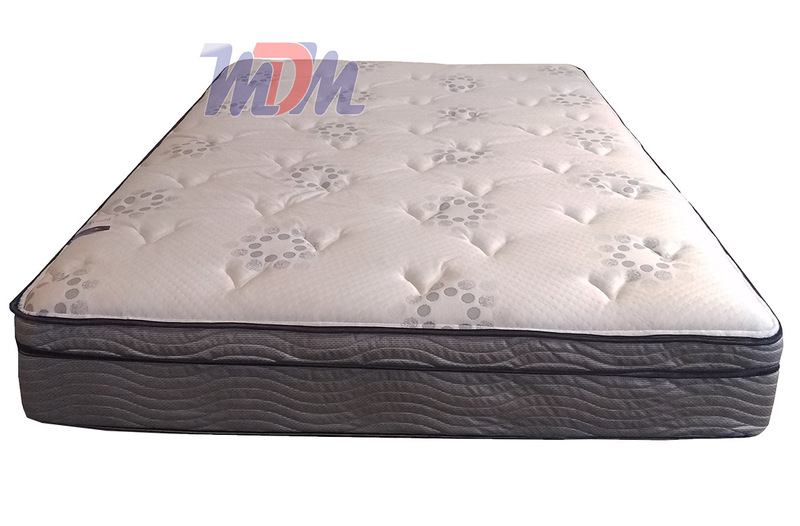 It contains a nice foam buildup and even an Air Flow Insulator at the mattress's bottom layer - to make the bed more breathable. For a mattress that isn't too soft and isn't too firm, this is a great choice, created by a well respected manufacturer. The "Melissa" is a medium-feel Euro Top that provides a great combination of back support and top-layer comfort. I'd put it in the "value mattress" category, but it possesses more luxurious levels of feel and also components that would make me want to classify it much higher. Its price tag is the only thing that keeps me from calling it a "luxury mattress". 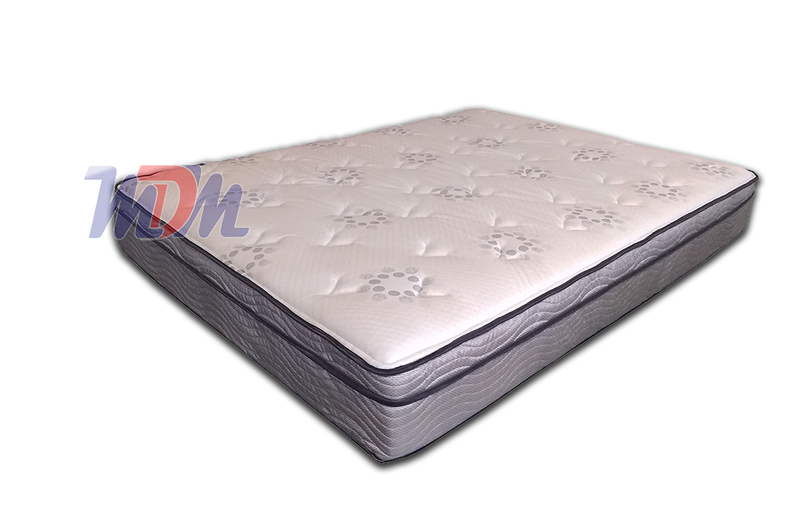 This is a Euro Top that contains a Firm Support Foam layer; directly above the foam encased SuperLasic Continuous Coil unit; a strong and contouring innerspring that has proven - over many years - to last a long time for our cusstomers. The King Koil name has been considered a premium brand of mattress for many decades and - now that we've got them in the store to try - we can see exactly why! This particular model is for the person seeking a medium feel, who doesn't have an exorbitant budget and who would appreciate a brand-name mattress being sold at a more-than-reasonable price. I highly recommend it for such a person.